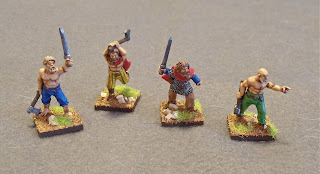 I finished a handful of Vikings a few days ago and just got around to posting it today. 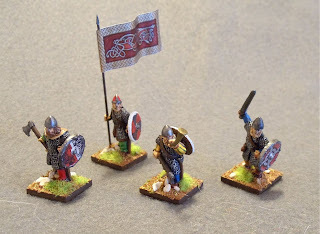 These minis are all Crusader. First batch is a command unit. Next up is a unit of Berserkers. 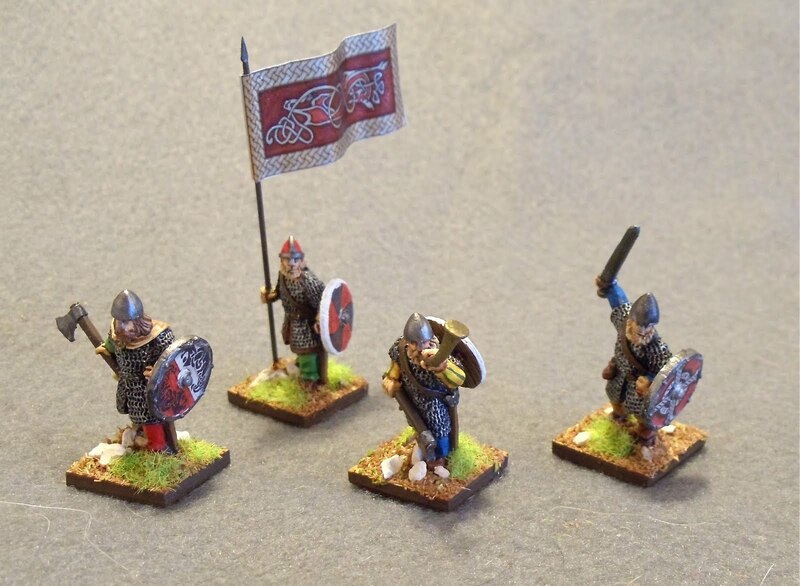 I've got 16 more Vikings to finish and they're already under way. I want to try and get these done before the end of the year, but I'm doubting I'm going to have time, we'll see. http://mageknightkevin.blogspot.com/2011/06/tutorial-making-forest.html so thanks to Kevin for that. Nice job. The fellow with the two-handed axe is pretty limber to be running in that position!